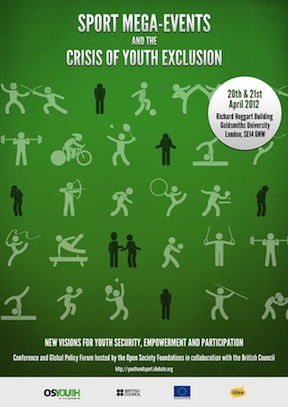 Grassroot Soccer (GRS) was thrilled to participate in the Open Society Foundations’ international symposium on ‘Sport Mega Events and the Crisis of Youth Exclusion’ in London on April 20-21. GRS Assistant Site Coordinator Lunga Sidzumo (left) speaks at the OSF symposium. The Symposium brought together youth activists, policy innovators and academic specialists to explore how we can ensure that Sport Mega Events, such as the World Cup and the Olympics, do not isolate or exclude young people living within the host communities. 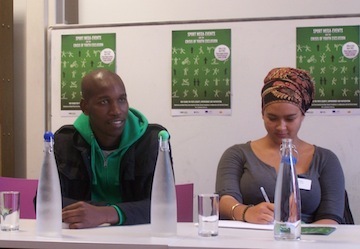 As a young leader and activist in his community, GRS Assistant Site Coordinator, Lunga Sidzumo, was invited by the Open Society Foundations to speak on a panel assessing the impact on youth of the 2010 World Cup in South Africa. Lunga grew up in Khayelitsha, surrounded by gangsters, drugs and crime. In this environment it is easy for young people to give up on their dreams. However “giving up” was not part of Lunga’s vocabulary. Instead, in 2008, Lunga joined Grassroot Soccer as a volunteer Coach, pursuing his love of soccer by using Africa’s most popular game to stem the tide of HIV and educate young people about their responsibilities and choices. Together with other GRS members, he founded Ragball International, a ground-breaking educational project that gives young people entrepreneurial skills by teaching them how to make soccer balls from recycled rubbish. In 2010 he was awarded the prestigious MAC AIDS Leadership Initiative Fellowship. While many analyses of the South African World Cup are critical that the games did not deliver on promises of job creation, economic growth, youth inclusion and poverty reduction, Lunga Sidzumo inspired the audience with his personal experience of the World Cup and the overwhelmingly positive impact of the Khayelitsha Football For Hope Centre (FFHC); one of twenty community centers built across Africa through the World Cup Legacy partnership of FIFA and streetfootballworld. The Football for Hope Movement was established in 2007 by FIFA and streetfootballworld as part of their strategic alliance. Its mission is to increase the impact of football as a tool for social development, peace and social change. Football for Hope is a movement that uses the power of the game for positive social change. It is led by FIFA, the world football governing body, and streetfootballworld. Built on land that was known locally as a danger spot, the Khayelitsha FFHC has become a safe and welcoming community space. In 2010 Grassroot Soccer was chosen to manage the center. Our Coaches have now delivered HIV prevention and life skills interventions to thousands of youth at the center. In addition, GRS hosts HIV Counseling and Testing tournaments at the center, using soccer as a tool to motivate thousands of people to test for HIV. 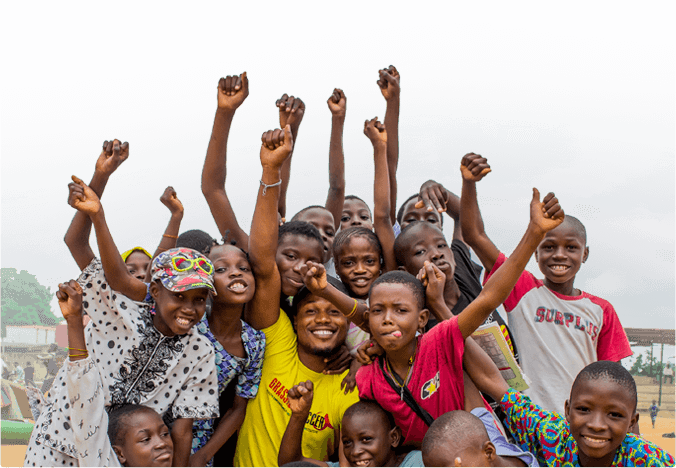 Through partnerships with other local NGOs, government departments and health service providers GRS, as a member of steetfootballworld network, enables the FFHC to be a community hub, through which a variety of much needed services are made available to all community members. Lunga Sidzumo now works full-time as Assistant Site Coordinator for the Khayelitsha FFHC. 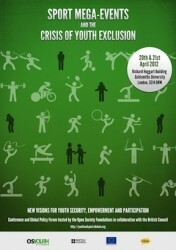 We are pleased that Grassroot Soccer could contribute to the Open Society Foundations’ debate. The Symposium created an idea launching environment that facilitated the sharing of experiences of sports mega events in South Africa and Delhi as well as plans for London and Brazil. It is a powerful start to a movement that will continue to monitor, evaluate and push for more inclusive sports mega events. More information on the panel can be found here. More information on the Open Society Foundations can be found here.